Some 45 young actors and actresses had only one week to practice and memorize lines, songs, and dances to perform for the public. 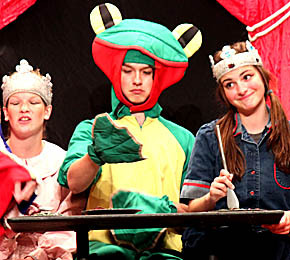 Princesses, frogs, ducks, trees, venus fly traps, flamingos, knights, and various swamp creatures were the characters who came to life on stage to enthusiastically portray the musical. Details in the July 3 Albion News Print & E-Editions.